Exciting! 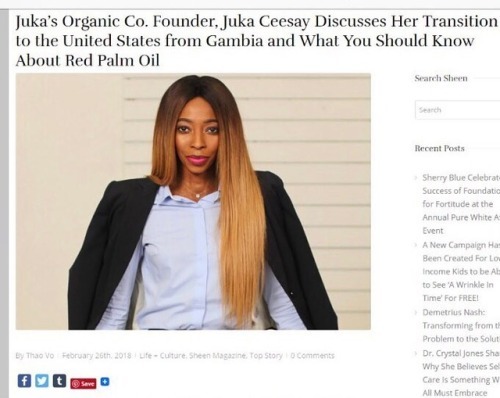 Our Interview With @sheenmagazine Just In “Juka’s... – Juka's Organic Co.
“Juka’s Organic Co. plays a huge role in the lives of many women in the villages of Africa. Why is it so important to you?